CBL Insurance, an Auckland-based credit surety and financial risk provider that does the bulk of its business overseas, is suggesting the local subsidiaries of the big Australian owned banks may bring Australian style deposit bond products used in real estate deals to New Zealand following CBL's purchase of Deposit Power from Vero's parent, Suncorp. CBL's chief financial officer Carden Mulholland and director of international business Dean Finlay told interest.co.nz the purchase of Deposit Power for an undisclosed sum will see CBL operate as underwriter for Deposit Power, which they estimate has about 85% of the Australian deposit bond market. It has annual revenue of about NZ$10 million. Although other entities have offered deposit bonds in the New Zealand market, Mulholland said Deposit Power was currently not active here. Finlay said Deposit Power's customers include both ASB's parent Commonwealth Bank of Australia (CBA) and BNZ's parent National Australia Bank (NAB). And he said CBL may "in due course" talk with representatives of the two banking groups if they have an interest in ASB and/or BNZ selling Deposit Power's products in New Zealand. "If CBA and NAB sell the product in Australia, why wouldn't ASB or BNZ sell them in New Zealand in the future?" Finlay suggested. Deposit bonds are issued by the likes of Deposit Power to the vendor. They act as a substitute for a cash deposit between signing a contract and settlement of the property deal. 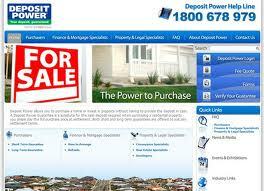 At settlement the purchaser is required to pay the full purchase price including the deposit. Deposit Power says its guarantees can be issued for all or part of the deposit amount required, up to 10% of the purchase price, with its guarantees expiring after six months. Since its launch by Vero in 1989, Deposit Power says it has written guarantees for more than 750,000 property purchases. Mulholland said CBL wasn't taking on liability for existing Deposit Power bonds underwritten by Suncorp/Vero. CBL, which has just added Bancorp chairman Sir John Wells to its board, is licenced under the Reserve Bank of New Zealand's prudential regulation regime for insurers and was formerly known as Contractors Bonding Ltd. It's not a licenced insurer in Australia. CBL bought European Insurance Services Ltd, which provides residential builders warranty insurance in France and Spain, for €22 million (about NZ$35 million at today's exchange rate) in June 2011 in a deal funded through NZ$20 million of loans from BNZ and fellow NAB subsidiary, Britain's Clydesdale Bank, the issue of NZ$9 million worth of CBL shares, and a €5 million earn-out to EISL shareholders payable over three years. Mulholland wouldn't disclose the price CBL is paying for Deposit Power but said it was significantly cheaper than the price paid for last year's European acquisition even when doubled by investment on the likes of information technology (IT) that CBL plans to make. CBL is anticipating a pay back on both its Deposit Power acquisition and investment by mid-2013. Finlay estimated deposit bonds were used in about 8% of all house sales in New South Wales (NSW) and about 3% of Victorian sales. The size of the market in other Australian states was "very small." If CBL was to grow the NSW and Victorian business to, say, 12% and 8%, respectively, this would be significant growth for CBL, Finlay added. This article was first published in our email for paid subscribers this morning. See here for more details and to subscribe.